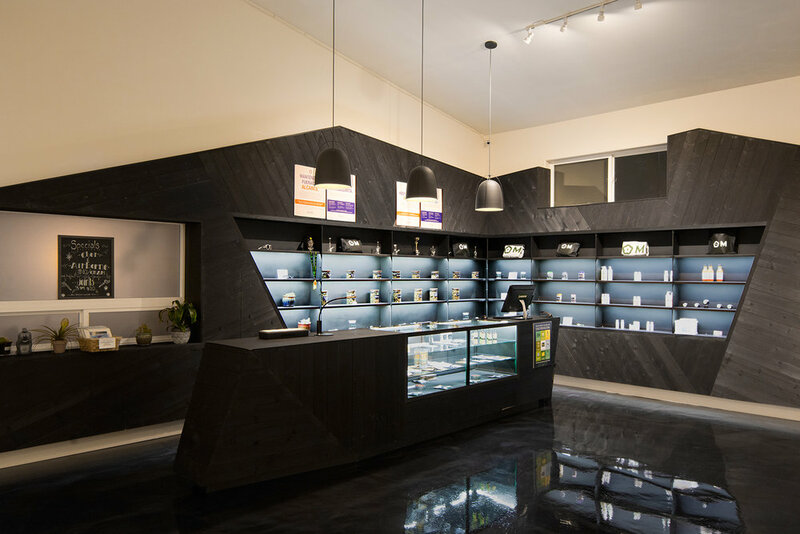 For its first retail space, Madrone Cannabis Club wanted this dispensary to feel premium, elegant and to set a brand style that can be carried forward in any region, in any space. 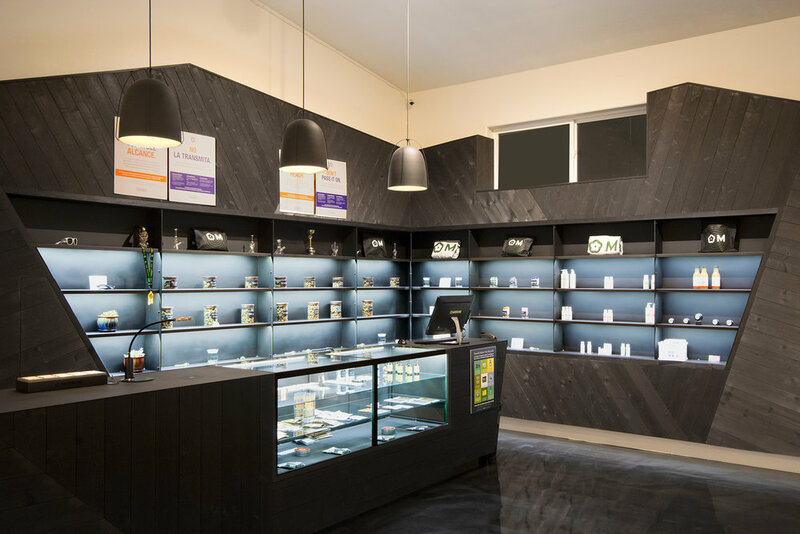 We took inspiration from the vein pattern from the Cannabis leaves and represented that in angular planking. This planking presented a dynamic and texturally rich backdrop. Each plank was hand charred, rubbed back and then stained to a rich deep charcoal look. We wanted a surprising effect when you enter the room, so to avoid the expected reclaimed natural wood vibe, we decided to keep the space as a white canvas which allows for the dramatic black language to pop. Special thanks to Denton Cardew Design for Project Direction and text & Max Woodworking for the build out.